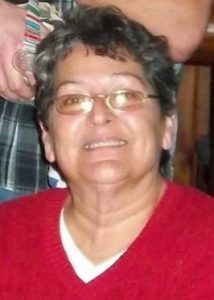 Marcia Lynn Beake, 64, a resident of Ingleside, passed away peacefully surrounded by her sisters (the rest of the Dustballs), after a long courageous battle with lung cancer, August 20, 2017 at her home in Ingleside. She was born June 22, 1953 in Sibley, IA to Joseph and Iris Dries (nee: Butz). Marcia loved gardening, nature, birds, hiking, and camping. She enjoyed volunteering for veterans and food pantries. Marcia was a devout Catholic serving as a 30 year parishioner and Eucharistic minister at St. Bede’s Catholic Church in Ingleside. She raised her children faithfully guiding them towards Jesus Christ, within the catholic church. Marcia and Jim never knew a stranger and lived their lives with an open door policy. They showed compassion and love with whomever crossed their threshold. A retiree of 37 years from Abbott Labs, she started working on the line and ended her career in Quality Assurance. She was a loving mother, grandmother, mother-in-law, step-mother, wife, sister, sister-in-law, aunt, daughter, best friend, and daughter-in-law. Marcia is survived by her children Darcie (William) Addis of East Peoria, Richard (Erin) of Lake Villa, her step-daughter Shaw of Georgia, her grandchildren Zakkary, Benjamin, Chase, Zoey, Lauren, and Sydney, her siblings Cindy Harlow of WI, Sheila Farrigan of IL, Theresa Brassell of WI, and her best friends Pam (Richard) Myers of IL. She was preceded in death by her husband of 41 years, James Beake, her parents, her infant brother Joseph, and her sisters Connie Madole and Vicki Bollmann. In lieu of flowers, donations may be made to the National Audubon Society greatlakes.audubon.org. Interment will held privately. For more information please contact (847)223-8122.